Mark Stewart Home Design is on the leading edge of the recent surge in farmhouse style homes, and this one story farmhouse is part of our brand new collection of farm house style designs! 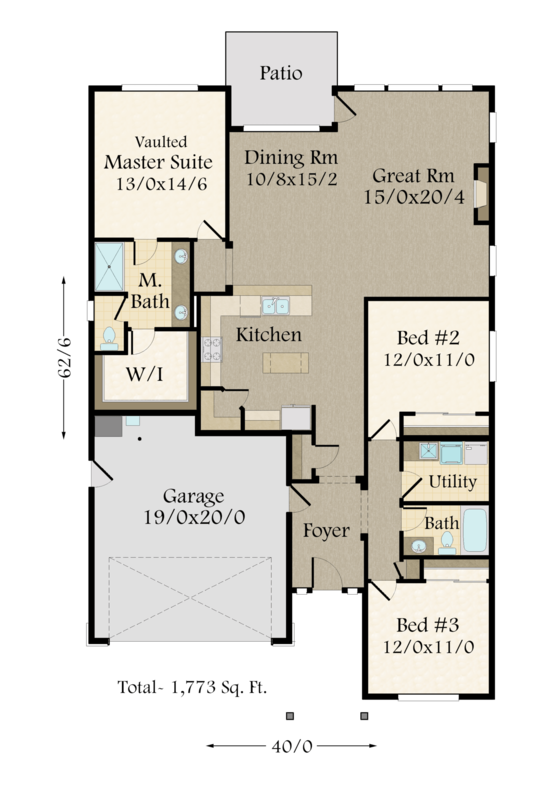 This farmhouse style design offers you 3 bedrooms, 2 bathrooms and a nice sized two car garage. It’s marked by rustic materials, a functional floor plan, traditional exterior and great roof lines. Enter this home and you will find two bedrooms at the front of the property along with a full bathroom and utility room. In the heart of this farmhouse style design is the large, U-shaped kitchen (with island). It keeps watch over the great room, fireplace, dining room and patio. If you’re looking for the perfect space for entertaining, this home is it! The master suite is tucked behind the dining room; it has a vaulted ceiling, jack-and-jill style sinks, private toilet, and walk-in closet. 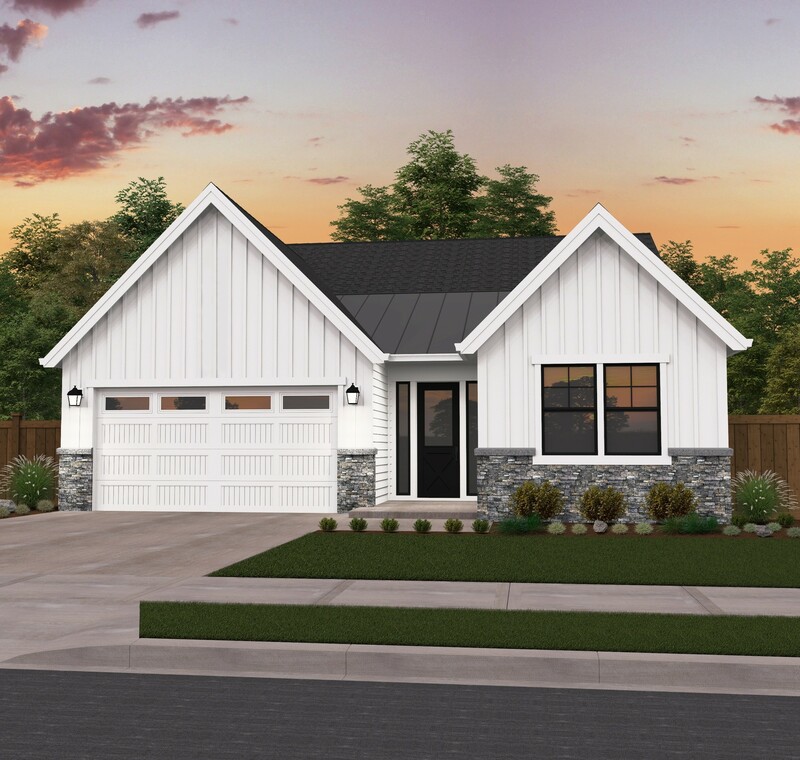 Besides this home plan, you can also use our website to search for Bungalows, Craftsman Homes, Lodge Style Plans and Tuscan House Plans too! 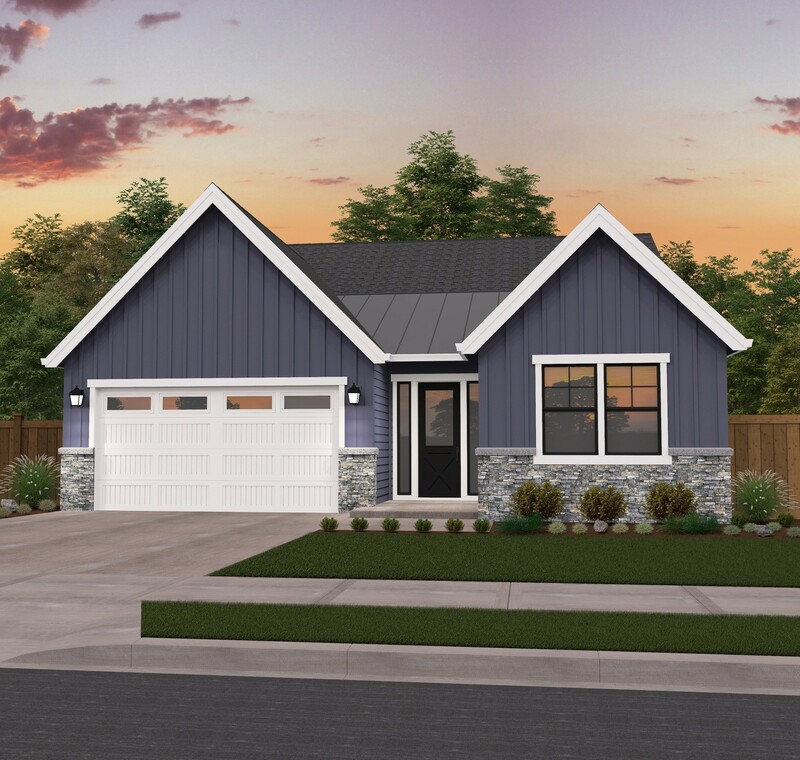 To learn more about this design or the other house plans that we have to offer, contact Mark Stewart Design by calling us at (503) 701-4888 or click here to connect with us online.